There is a “myth” I think it is way past time to dispel…and if there’s any truth to it, I want us all to work for a solution. It is a quotation about nurses that is so sad, I refuse to repeat it when I’m giving presentations to my nursing colleagues. I fear that by repeating it, I too am perpetuating its use. So I will state it once now, praying that this is the last time that I, or any other nurse, ever has to hear it. Because I speak full time to nurses and am an expert on nurse recruitment and retention, I get to talk to thousands of nurse a year. Every now and then someone repeats this horrible phrase. Too often it is a new grad or first year nurse. I was shocked to learn that 20% of first year nurses quit in this country! Our nation is expected to be half a million nurses short within the next ten years. We need to mentor our new nurses. I believe strongly (can you tell?) that we need to care for each other, build each other up, help each other out. 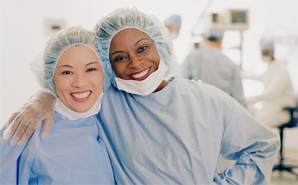 Nurses can do a lot to end this shortage by creating an environment where others want to work.